Could this be the latest Tekken character in the series? Katsuhiro Harada has taken to Facebook for fans' input on Tekken 7. 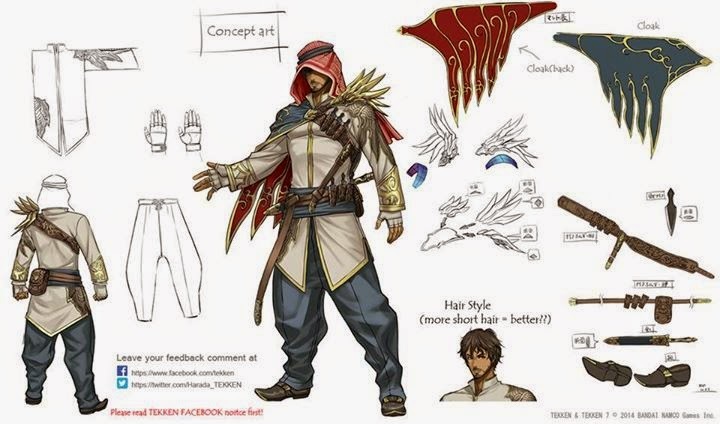 In particular, he's looking for input on a new Arabian character. While the character isn't officially confirmed and is just a concept, Harada is asking fans for their thoughts on the idea.